The number is not comparable to previous period because of introduction of GST from July 2017. 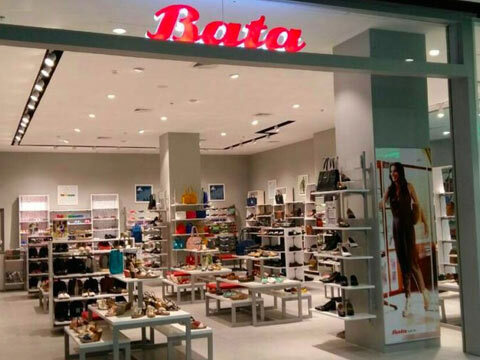 Bata India, the largest footwear retailer in India, reported Rs. 797.3 crore in Net Sales for its first quarter ended June 30, 2018, on the back of its high-decibel ‘Come & Be Surprised’ campaign featuring Kriti Sanon to mark the launch of its New Red Label collection. The number is not comparable to previous period because of introduction of GST from July 2017. It proved to be an exciting quarter with a slew of regional campaign like Monsoon in West and Back-to-School in South also adding to Bata’s Net profit of Rs. 82.6 crores, an increase of 37% over the corresponding period last year. The launch of its internationally developed ‘Red Concept’ stores in India in the previous quarter and the ongoing campaign with Kriti Sanon, leading Bollywood actress and youth icon, started to yield positive results by way of footfalls and consumer perception. The Government of India has implemented Goods and Services Tax (GST) from July,2017 subsuming excise duty, service tax and various other indirect taxes. As per Ind - AS, the revenue for the quarter ended June 30, 2018 is reported net of GST. Accordingly, Revenue from Operations for the quarter is lower and not comparable to the previous period.